Cutting in is a painting term that means painting around the edges. The purpose behind this is the roller cannot get into corners or to the top or bottom of the walls. If you even get too close with a roller you will end up bumping it on the ceiling, floor or window trim. Then you some clean up, or worse, you have to paint over it on the ceiling. This is an important part of the painting process and isn't difficult but can take some time to complete. Put down a drop cloth and use painter's tape to mask off window trim, door trim and baseboard. You also need to mask off any built-in bookshelves, entertainment centers or fireplaces. Cut in along the ceiling first. This takes a steady hand with an angled paintbrush. You need to go along the line between the ceiling and wall and keep the paintbrush straight. You should paint down about 2 inches. If you don't have a steady hand, use a sponge painter with a guide. It has wheels that run along the ceiling and keeps the paint away from the ceiling in a nice straight line. Do a section at a time and fill in the walls with a roller. Paint the walls while the edges are still wet or you will end up with a distinct line separating the two. Paint in the corners of the room. Go down the center of the corner and at least 2 inches out. 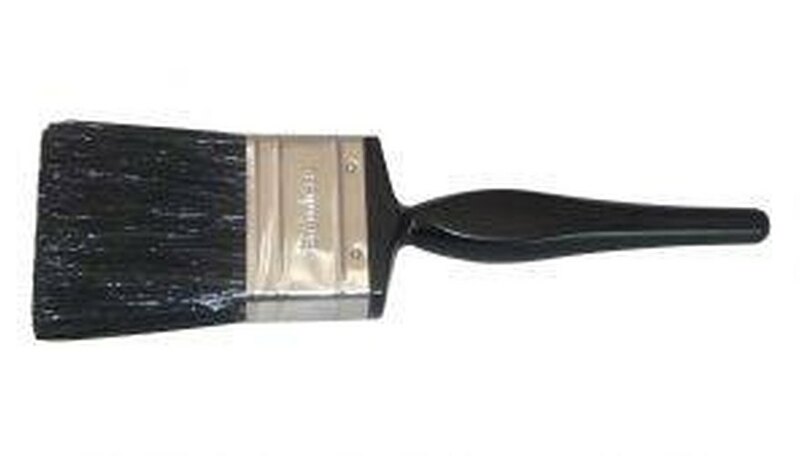 You do not have to be very careful here so an angled paintbrush should work fine. Again, either work in sections or have one person cutting in while the other is rolling the wall so you are always working with wet paint. Paint around windows and doors at least 2 inches out. The tape should keep the paint from getting onto the trim, but try not to paint it anyway. One little gap and you can have paint that will need to be removed later. Paint along the baseboard at least 2 inches up the wall. Again the tape should keep you from painting the baseboard but you still need to take care. Apply a second coat of paint. By the time you finish above the baseboard the ceiling will be dry and you can start over. If you don't think it needs a second coat then wash out the brush in water and finish painting the walls. Leave the tape on until you are finished painting the room. If you slip with the roller, the tape protects the masked surfaces.